If we want others to read our thoughts, we have to give them something worth reading. Today is International Dot Day. 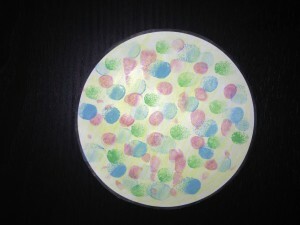 It is based on the story The Dot, by Peter H. Reynolds. In this book, an art teacher inspires a reluctant art student by telling her to just place a dot on her blank piece of paper. The student then creates complex and wonderful dots on many different papers, and shares her confidence in “making her mark” with another reluctant artist. The theme running through the story is to allow people to express their creativity in order to gain assurance and confidence. Just as the student, Vashti, made her mark, so must we have the self-esteem and courage to make our mark on the world and express ourselves. In thinking about it, I am pretty lucky. Just by teaching, I am leaving my mark. Through creativity and collaboration with others I am attempting to help students become the best people they can be. If I was in the classroom this September, I would be trying to tie International Dot Day into a lesson on self-esteem and creative expression. However, I’m not back at school just yet, so I thought I would complete a little art project with my son. After all, I want him to have confidence in his abilities as he learns and grows. The red dots are his fingerprints, and the green and blue dots are mine and my husband’s. It’s kind of my way of saying that we’re all in this together, and as a family we can all help each other gain what we need to “leave our mark” however we choose.